There are 5 different addons that replace vanilla ores with new ones. They do not have anything supernatural, except for a new appearance and name. 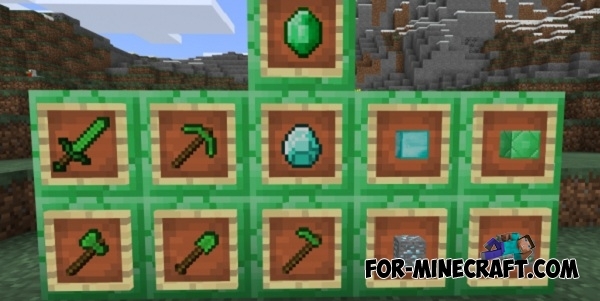 These new ores can be found in any massive industrial mods for MCPE or Minecraft Java, where the basic idea is the expansion of ores in mines and the addition of new ones. Each addon can be downloaded separately and used separately. 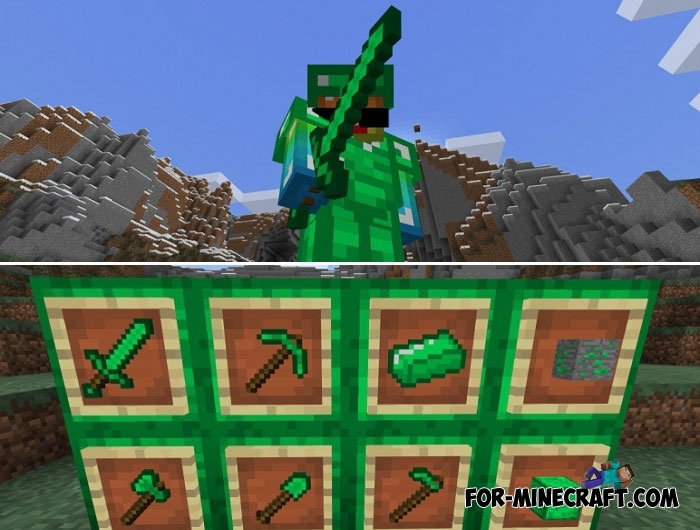 New ores can be found in mines as before, as well as crafting new tools and weapons, armor and other items that contain new material. How to install the New Materials addons?